MONTHLY photos contributed by our members for August - 2018. 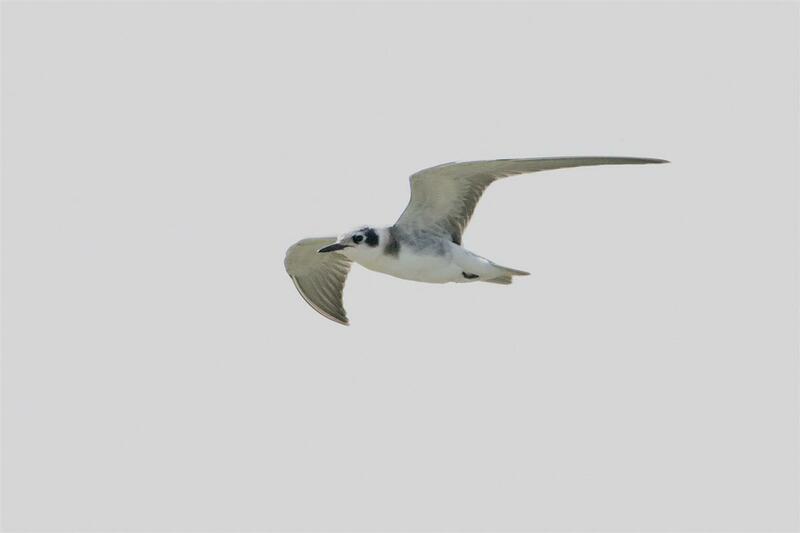 This basic plumaged Black Tern was seen foraging over Winter's Pond in Langford on the 5th. 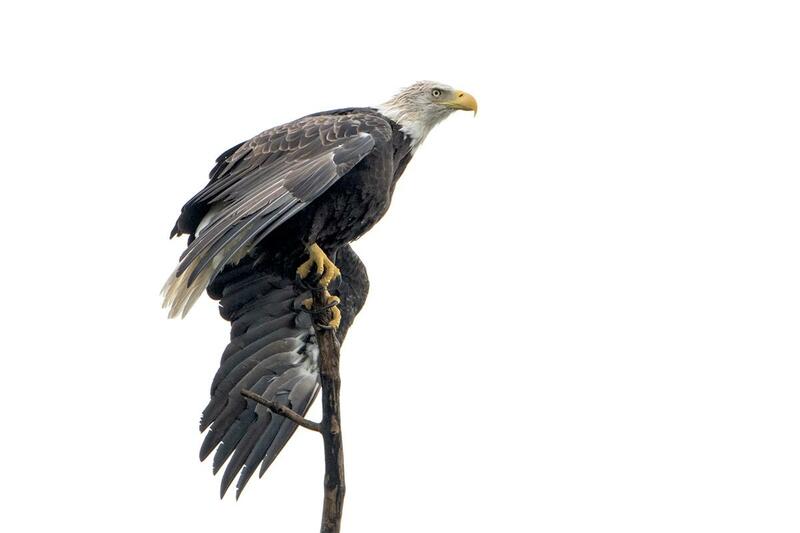 This is an unusual sighting for Erie County! 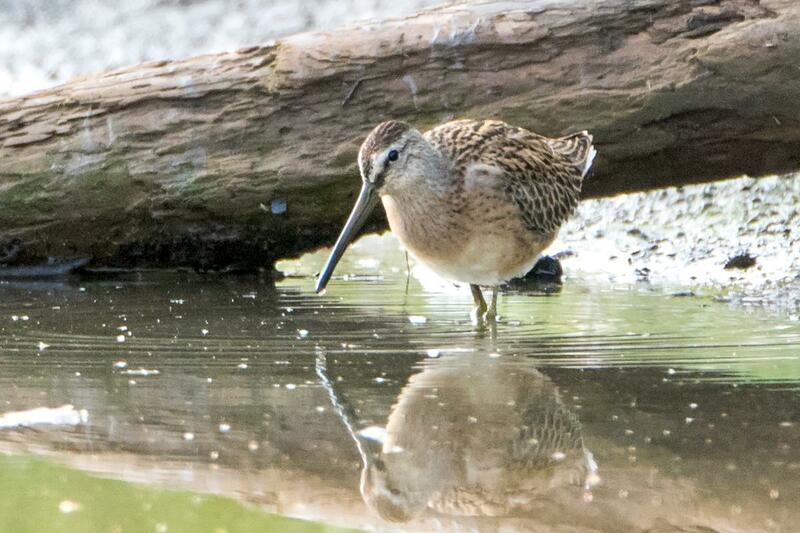 This Short-billed Dowitcher was foraging in the mud back along the creek at Woodlawn Beach SP on the 12th. Marbled Godwit on the sandbar that runs along the Barcelona Harbor breakwall in Westfield (Chautauqua County) on the 19th. 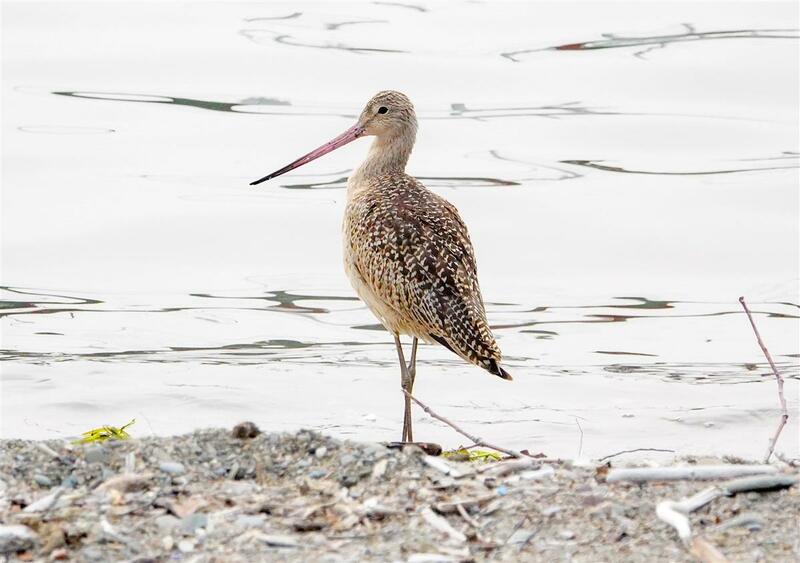 This is one of the rarer shorebirds that periodically shows up in WNY and high on many 'want lists'! 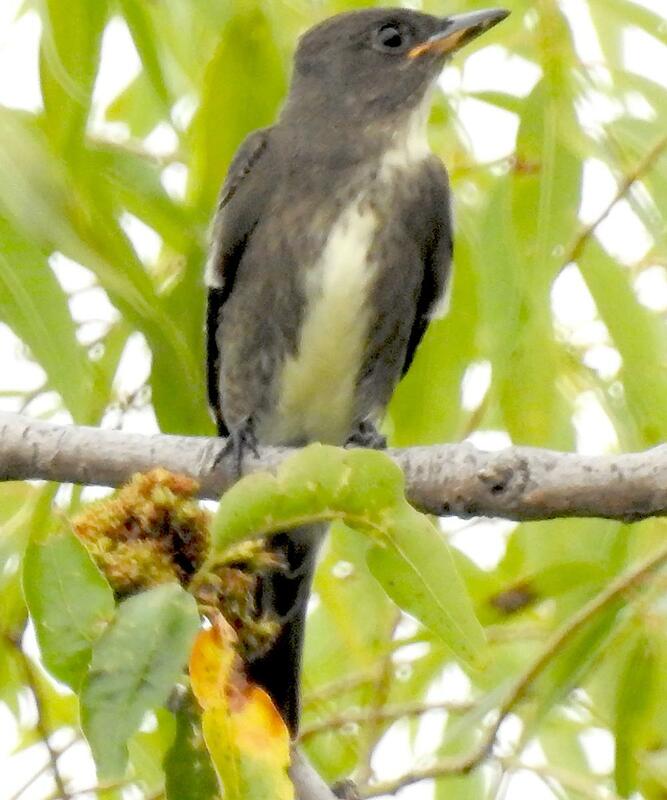 A beautiful, dark, young Olive-sided Flycatcher found at Times Beach by Shelley Seidman on the 19th! Notice the fleshy gape indicating this bird is a juvenile. 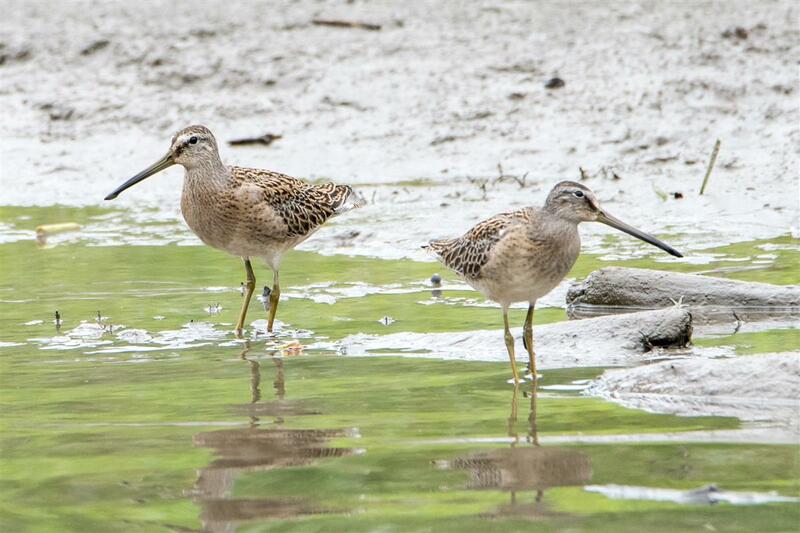 A pair of juvenile Short-billed Dowitchers were at Woodlawn Beach SP again on the 21st. It's been a good year for them! 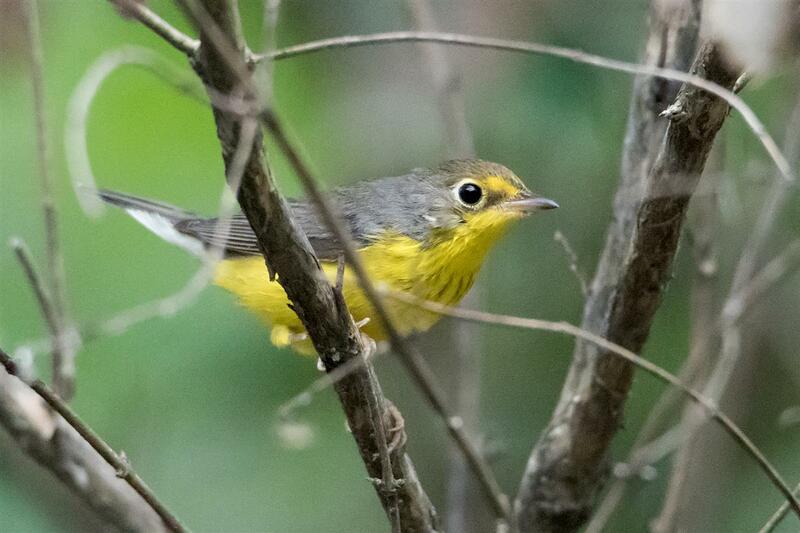 A lovely Canada Warbler came through Woodlawn Beach SP amongst a mixed flock of warblers on one of the season's first pushes of fall migrants. This juvenile Red Knot was ultra cooperative along the Bird Island Pier on the 30th. It was originally reported on the 28th by Joan Kraus O'Brien, and continued through the 31st. 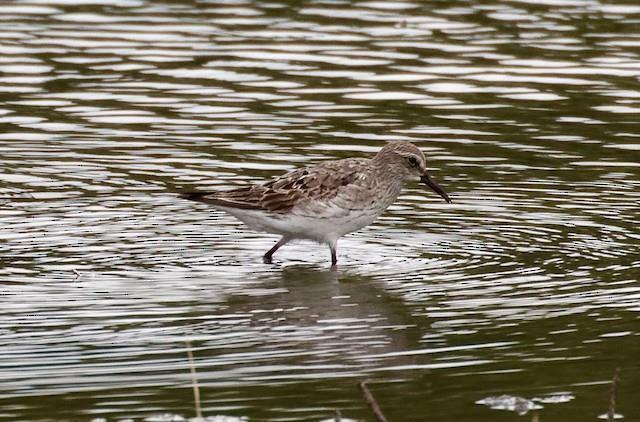 Jim and Ann Sawusch took this photo on the 26th of an adult White-rumped Sandpiper at the water retention pond at the intersection of North Bailey and Ridge Lea Roads, Getzville, NY. 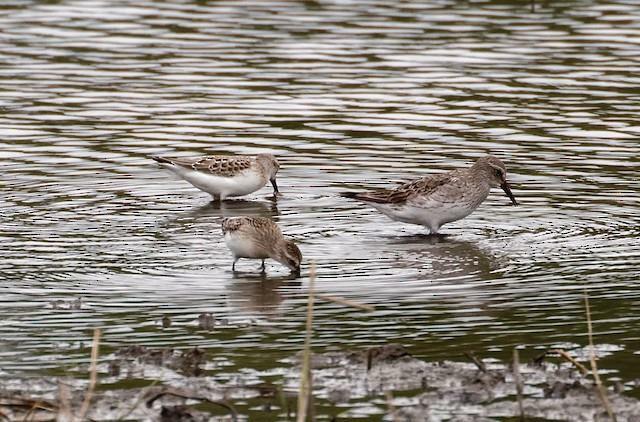 The two Semipalmated Sandpipers on the left show the White-rumped's larger size. 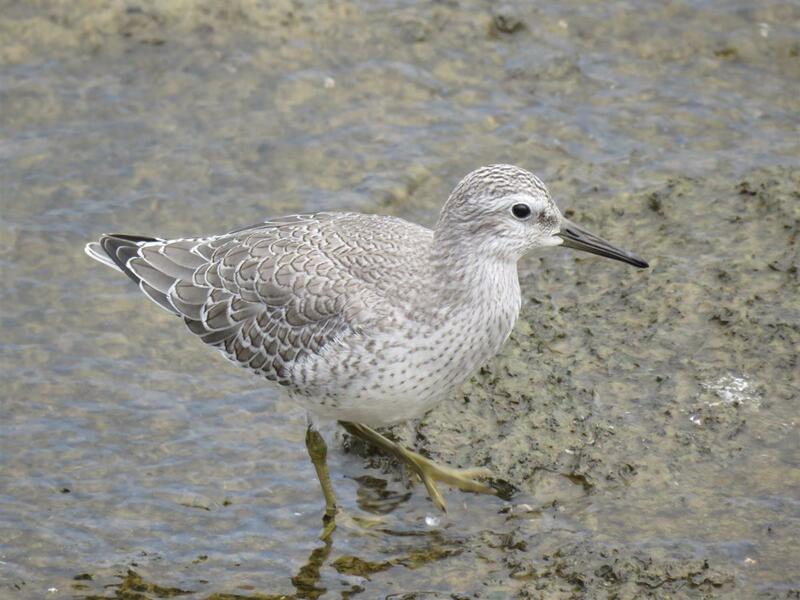 Another view of the White-rumped Sandpiper by Jim Sawusch on the 26th. Notice the fine streaking along the bird's flank which is distinctive among the peep sandpipers. 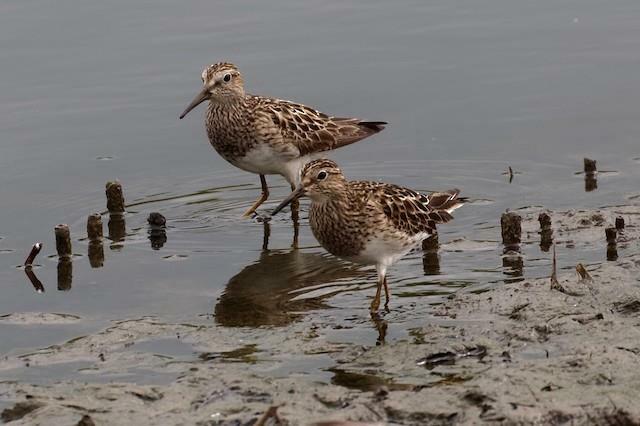 A pair of Pectoral Sandpipers entertained birders at the Ridge Lea retention ponds on the 26th and kept company with the White-rumped Sandpiper and several other shorebird species. Photo by Jim Sawusch. 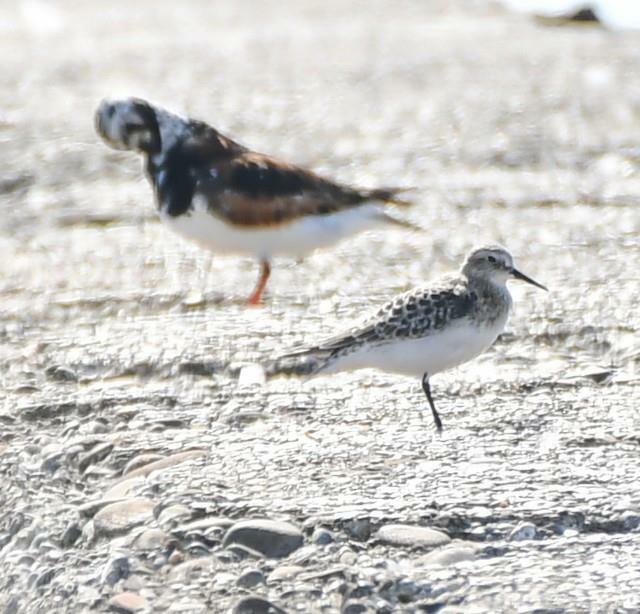 A surprise find along the Bird Island Pier by Josh Ketry on the 31st was this Baird's Sandpiper. This species would be unexpected along the pier as the habitat isn't quite to this species' liking. A nice consolation prize for not seeing the Knot.